Macau - the Vegas of the Far East, but also one of the older Portuguese trading outposts in Asia. A recent addition to the country of China, yet still clinging to some autonomy as a Special Administrative Region (SAR). My visit to this territory gave me some fascinating insight into the complex nature of Macau. Macau is easily accessible via ferry from Hong Kong, either from Kowloon or HK Island. After the one hour trip and a quick walk through immigration, we boarded our shuttle and quickly alighted at our hotel on the Macau Peninsula. We only had one day and night to spend, so we hit the town straight away. Similar to Hong Kong, Macau is divided into two central areas: the Macau Peninsula in the north and the islands of Taipa and Coloane towards the south. Most of the historical sites are located on the Peninsula, while many of the casinos and entertainment complexes are found on the islands, which are connected by the Cotai Strip. Our first tourist attraction was the historic centre of Macau. Recently named a UNESCO World Heritage Sight, it was a quaint and lovely European-style quarter, replete with cobblestone streets and brightly painted shops. The ruins of St. Paul's, shown above, rise above the rest of the city. Most people flocked here to take their requisite selfies. Interestingly, there is nothing else to the church. We walked through the door to find that the rest of the building wasn't standing at all! It still makes an impressive visual impact on visitors. Located next the ruins is the Macau Museum. Like other museums that I've visited in Southeast Asia, it was not as concerned with flaunting famous pieces but rather focused on telling the story of the region. 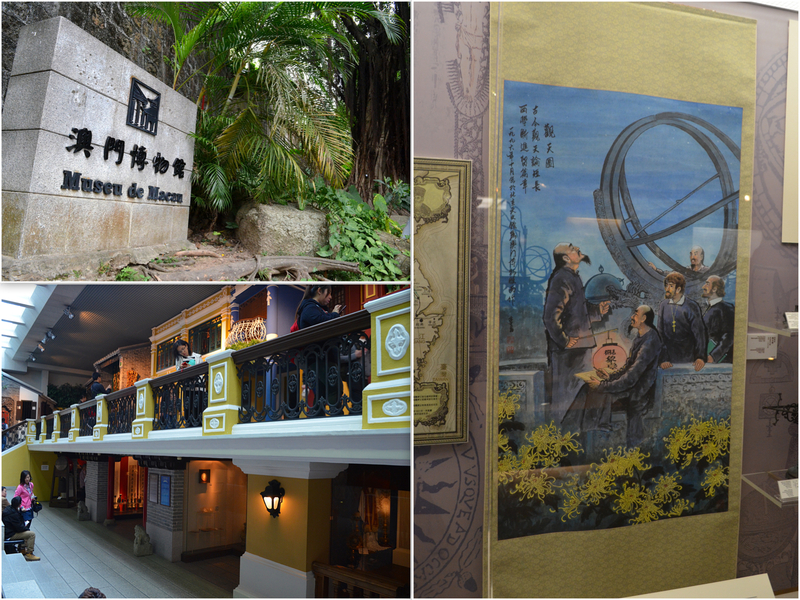 It was a nice introduction into the Chinese-Portuguese culture that took root here over the years. No trip to Macau is complete without a stop at one of the glittering casinos. We opted to check out the Venetian, one of the crown jewels on the Cotai Strip. It is THE biggest casino in the world, and the sixth-largest building in the world by floor area. It is a mammoth property, which a flowing river both on the inside and outside of the building. Inside, there were shopping centres that dwarfed most malls that I've been to. The casino floor was fascinating. It stretched on forever, with baccarat table after baccarat table. Truthfully, nobody looked like they were enjoying themselves. Almost no alcohol was being served, as the patrons were quite focused on their gambling. This was also true in the City of Dreams casino. Personally, I had a grand time, since I didn't have enough money to even play a hand of blackjack (minimum buy-in: a whopping HKD 3000, which is almost US$400 per hand). Instead, I took one spin around the roulette wheel...and losing, of course.